Fishing is one of the best hobbies that one can have. It is not just refreshing but also good enough to make sure that you take home something that your family shall be proud of. However, fishing is not just about laying the bait and getting hold of the fish. There are a lot of factors that you have to consider in order to make sure that you have the best fishing experience. You will also have to follow the safety tips when you are fishing. You might have seen a lot of pages that speak about fishing safety tips, but only a few of them speak about ice fishing tips, that even veterans find it hard. So here are some of the ice fishing tips that you have to remember. 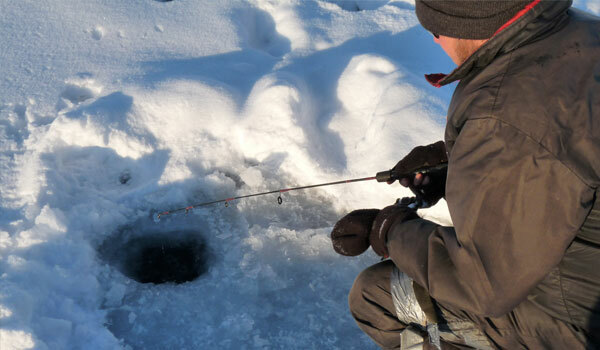 The first thing that you have to remember is that you are ice fishing only because there is pricking cold outside and you can find water nowhere. So make sure that you are wearing a suit that matches the weather and at the same time convenient for you to fish. If you are someone who is not very much used to moving out or playing with the ice in the cold weather you might have to give ice fishing a second thought. It is better you skip it. It is important that you have complete knowledge of the place that you are fishing. In case if that close to your locality, you need not have to worry. But if you are on a trip and travelling to a distant location for ice fishing, then it is better that you talk to a person who belongs to that locality to get a better understanding of the safety measure and the place that is safe for you to fish. You will always have a feeling if only the surface is hard and there is running water beneath the hard surface. Then, in that case, it is better that you do not choose such a place. Because any ice surface that is formed above the moving water is bristle and can collapse. It is only a thin layer of icing, and it is almost close to impossible to walk on it. So you better be aware of it. Even ice that is hard can break sometimes. But the advantage here is that you have ample time to move to a safe location. However, it is important that you move. Any ice that is bad and is not good standing on it leaves signs of crack on it. Though you need not have to take all cracks seriously, it is better that you move when there is a crack.